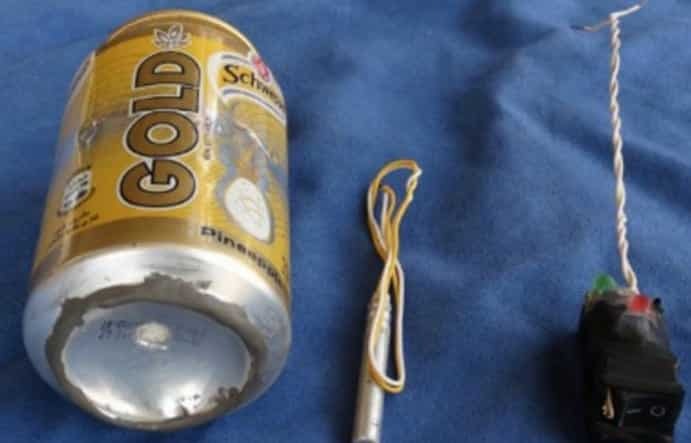 Islamic State has released a new issue of its propaganda magazine Dabiq, which includes a photo of a soda can and other components it says made up the bomb which took down a Russian jet in Egypt on October 31. The magazine also carried a claim that two hostages, a Norwegian and a Chinese man, had been executed. Officials were working to determine the validity of the claims. This entry was posted on November 18th 2015 at 11:59am/11:59 and is filed under Live News Column 1, Terrorism, World News. You can follow any responses to this entry through the RSS 2.0 feed.